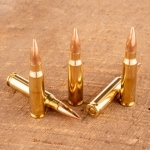 It's amazing how quickly you can go through .223 Remington ammunition with a good AR-15 or other .223/5.56 NATO rifle in your hands. 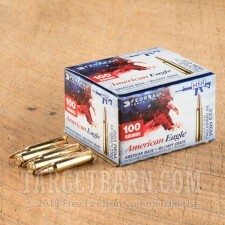 Keep your costs down with this 500-round case of Federal American Eagle ammunition! 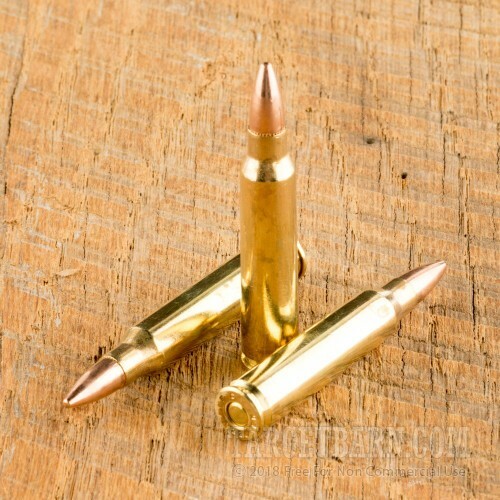 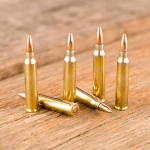 These cartridges fire a 55 grain full metal jacket bullet at 3,240 feet per second. 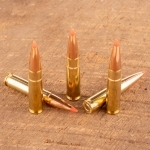 While they are not mil-spec ammo, they produce ballistics virtually identical to those of M193 ball. 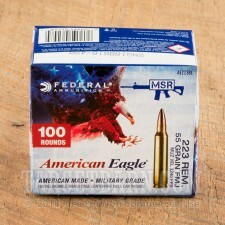 Expect good accuracy and minimal recoil. 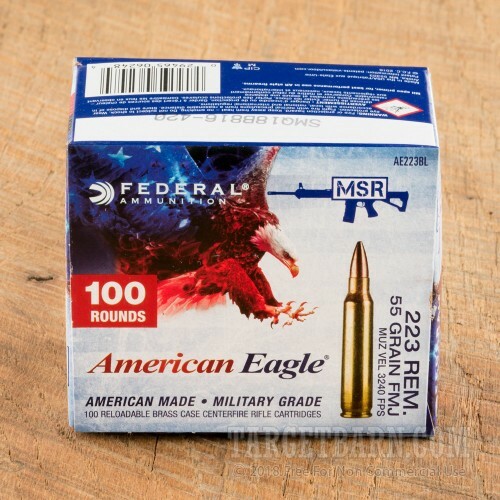 Federal ammo is proudly made in the USA using non-corrosive Boxer primers. 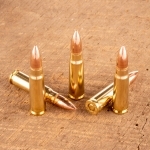 This particular load uses polished commercial brass cases.